Berger Hybrid Target Bullets utilize their industry-leading hybrid ogive, which blends tangent and secant designs to optimize efficiency, reduce wind-drift, and minimize sensitivity to seating depth. The Hybrid Target Bullets are competition proven and a favorite amongst today's top long range competition shooters. Made with J4 Precision Jackets, the Hybrid's like all other Berger Bullets, have exacting tolerance and near perfect construction. 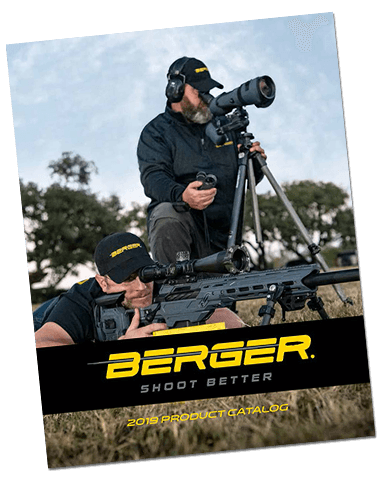 Berger?s Chief Ballistician, Bryan Litz used his expertise to combine the appropriate shapes for optimum accuracy and performance. 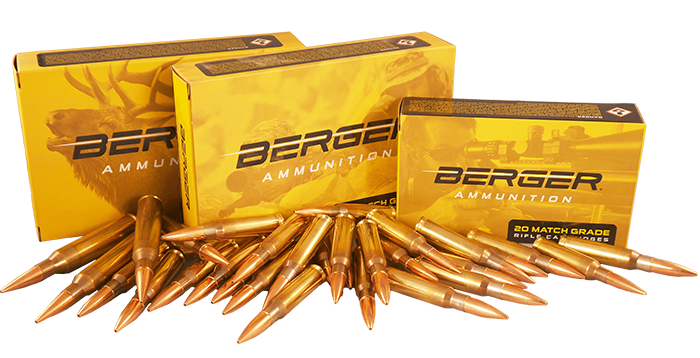 Berger 155.5 Grain FullBore Target Bullets are often used by competitve shooters who seek the highest accuracy possible. FullBore Target Bullets are often used beyond mid-range distances out beyond 600 yards. The 155.5 Grain FullBore Bullet was designed specifically for use in today's Palma rifle applications for international competitions at distances out to 1,000 yards. Berger FullBore Target bullets are match-grade quality and utilize a tangent ogive bullet design which makes these very easy to load, tune and shoot. Highly accurate, the Boat Tail Target uses J4 Precision bullet jackets for construction. J4 Precision Jackets have a Total Indicated Runout (TIR) of +/- .0001 and extremely tight manufacturing tolerances. Berger Boat Tail Target Bullets are excellent for magazine feed applications, or where conformance to SAAMI overall length is necessary. 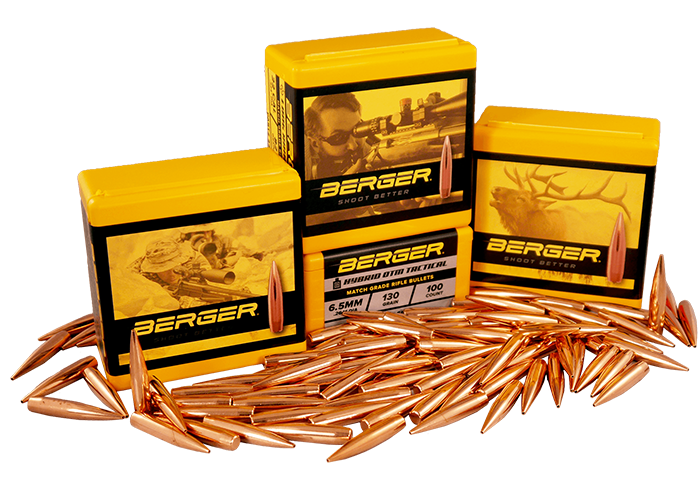 Berger 30 Caliber 200 Grain "200.20x" Target Bullets utilize Berger's industry-leading hybrid ogive, which blends tangent and secant designs to optimize efficiency, reduce wind-drift, and minimize sensitivity to seating depth. The 200.20x Target Bullet was developed with the assistance of the U.S Rifle Team (F-TR) and is the offical bullet for team use during the 2017 F-Class World Championships. $1.00 from every box purchased is donated by Berger Bullets to help support the team. The 200.20x Bullets are competition proven and a favorite amongst today's top long range competition shooters. Made with J4 Precision Jackets, the 200.20x like all other Berger Bullets, have exacting tolerance and near perfect construction. Berger?s Chief Ballistician, Bryan Litz used his expertise to combine the appropriate shapes for optimum accuracy and performance. Berger Juggernaut Target Bullets utilize Berger's industry-leading hybrid ogive, which blends tangent and secant designs to optimize efficiency, reduce wind-drift, and minimize sensitivity to seating depth. Its name was derived from its ability to move from transonic stage to subsonic with little disruption, where most bullets see an accelerated decrease in accuracy at these extreme long ranges. Juggernaut Target Bullets are competition proven and a favorite amongst today's top Mil/LE professionals, long range competition shooters and others for range, target, and tactical applications. Made with J4 Precision Jackets, Juggernaut Target Bullets like all other Berger Bullets, have exacting tolerance and near perfect construction. This product was discontinued in 2018. Berger Boat Tail Target Bullets are often used by competitve shooters who seek the highest accuracy possible. Boat Tail Target Bullets are often used beyond mid-range distances out to 1,000 yards or more. Berger Boat Tail Target bullets are match-grade quality and utilize a tangent ogive bullet design which makes these very easy to load, tune and shoot. Highly accurate, the Boat Tail Target uses J4 Precision bullet jackets for construction. J4 Precision Jackets have a Total Indicated Runout (TIR) of +/- .0001 and extremely tight manufacturing tolerances. Berger Boat Tail Target Bullets are excellent for magazine feed applications, or where conformance to SAAMI overall length is necessary. Berger Boat Tail Target Bullets are often used by competitve shooters who seek the highest accuracy possible. Boat Tail Target Bullets are often used beyond mid-range distances out to 1,000 yards or more. Berger Boat Tail Target bullets are match-grade quality and utilize a tangent ogive bullet design which makes these very easy to load, tune and shoot. Highly accurate, the Boat Tail Target uses J4 Precision bullet jackets for construction. J4 Precision Jackets have a Total Indicated Runout (TIR) of +/- .0001 and extremely tight manufacturing tolerances. Berger Boat Tail Target Bullets are excellent for magazine feed applications, or where conformance to SAAMI overall length is necessary.